Composed between the fifteenth and the fifth century BCE, the Vedas - literally "Knowledge" - are a Sanskrit corpus considered by most Hindus as a non-human revelation, and whose transmission has for centuries been reserved to a socio-religious elite, the Brahmins. Throughout Brahmanical literature the authority of the Vedas is recognized as supreme. In the nineteenth century, as part of the construction of an Indian national identity during the colonial period, some reform movements transformed them into the reference texts for a Hinduism conceived of as a unitary religion. They also read and interpreted the Vedas as a religion that, unlike Christianity, contained truths compatible with the achievements of modern science. Although the content of the Vedas focuses mainly on the celebration of sacrifice, nowadays we witness a proliferation of texts and discourses which put references to the Vedas into play in the most diverse areas. The attribution of the term “Vedic” is now used to legitimate all sorts of knowledge and practices. Thus, we hear of “Vedic architecture”, “Vedic astrology”, “Vedic ecology”, “Vedic mathematics”, “Ayur-Veda” (Vedic medicine), “Vedic socialism and communism”, and even “Vedic management”. The visibility of these phenomena increased with recent attempts by Hindu nationalists, when they were in power, to introduce these new fields into school and university systems, both in India and abroad. This political operation raised significant ideological issues and led to a huge controversy about the legitimacy of these different fields. Despite their visibility, both in India and Anglo-Saxon countries, and despite the controversies that they generated, these discourses and practices have received only marginal attention from the social sciences, and have moreover never been the topic of a study where they are considered jointly. This international conference aims to bridge this gap by bringing together ethnologists who have observed the birth and dissemination of these phenomena in their field studies. 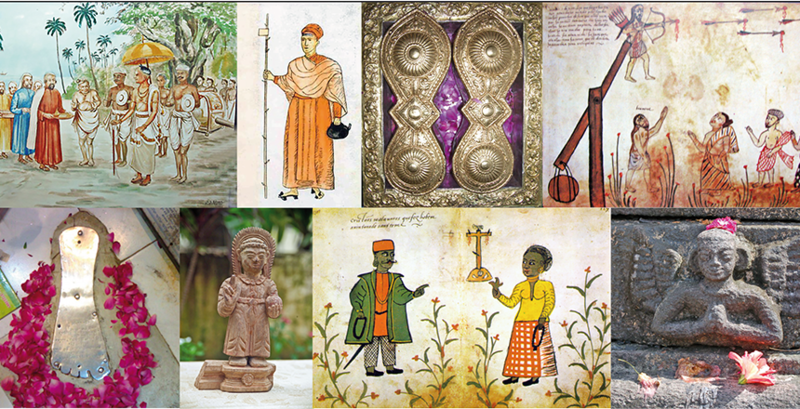 The participation of historians and Sanskrit scholars will help us to put the historical dimension of these events into perspective, while specialists of other cultural arenas, who face similar phenomena of appeal to texts, will shed light on the regional specificity of these observed social facts. During the conference, the primary task will be to understand the scope of these phenomena, by examining the social identity of the actors involved: which groups or individuals contribute to the production of these new forms of knowledge? To whom are they addressed? Who are the intermediaries involved in the propagation of these ideas? Which groups contest the legitimacy of these discourses? In particular, we shall attempt to understand how these groups organize themselves institutionally (sects, associations, university); their political, religious and associative networks; as well as their relationship with figures in the Hindu nationalist movement. The sociological investigation of these figures shall necessarily take into consideration the role of Indian diaspora and its transnational networks. Central to our investigation is a focus on the content of these “new” forms of knowledge, and the legitimation strategies that go along with them. Although it takes particular forms in the modern world, referencing the Vedas is actually an ancient way to affirm the validity of knowledge . How are contemporary ways of referring to the Vedas as a legitimating authority different from ancient ways? In what ways does the attribution “Vedic” help to legitimate particular ways of knowing? 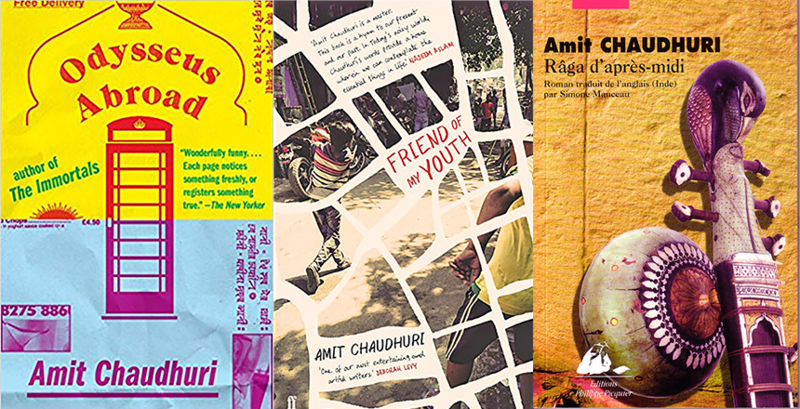 This will lead us to question the role of textual authority in contemporary Hinduism and its uses as a way of forging new religious identities. If modern science as epistemological authority was amply used by Hindu reformers during colonial times to prove the universal value of Hinduism, how are the “Vedic” and the “scientific” articulated in contemporary discourses and practices? 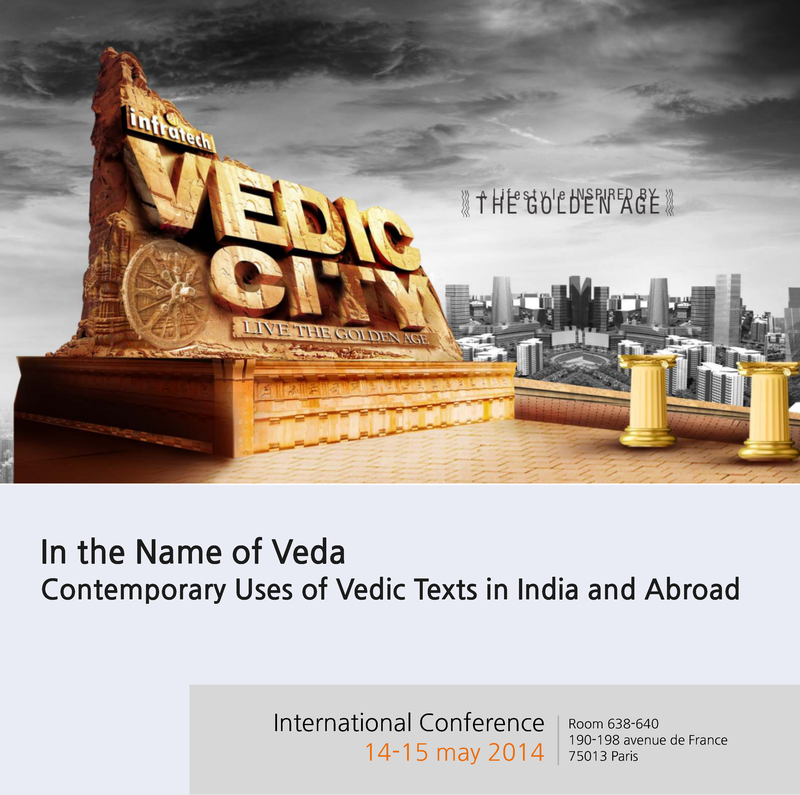 Participants will also be asked to investigate whether the attribution “Vedic” is always used in a “Hindu” context or whether it can be a purely commercial term used to sell the “exotic” and the “ancient” within India— as in the case of the Vedic City under construction by the Shri Infratech group in Greater Noida. Similarly, the conference will deal with the economy that is generated as these ideas spread. Besides the ideological dimension, commercial concerns seem to be at the heart of these new phenomena. The attribution “Vedic” has important commercial implications that should be attentively examined. The Vedas are nowadays sold as a commercial item, in the form of printed texts, recorded mantras (CD, DVD), or as a packaged tourist destination (Vedic schools, Vedic mediations centres). “Vedic” forms of knowledge are also extensively commercialised: countless services (consultations, courses, stages) and products (Vedic horoscopes, Vedic remedies, Vedic ritual items, etc.) are sold through the web. Participants will then be asked to explore the social networks, the marketing strategies and the material supports used in this “Vedic economy”.